For a professional, reliable electric shower repair service in Dublin, contact ApplianceFix. 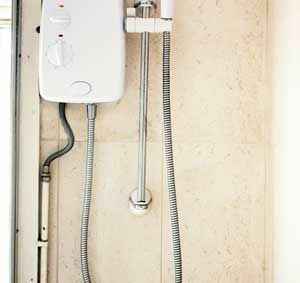 We carry out repairs to most makes and models of electric showers, specializing in repair of the Triton and Mira range, we carry all the popular spare parts to have your shower back up and running in no time, saving you money, not only on a new shower, but on the hassle of installing it also! Whatever the issue, most electric showers can be repaired at a fraction of the cost of buying a new one and then having it installed. So call us today to arrange a visit from one of our expert engineers who will diagnose the fault and have your shower back up and running.